Questions related to 15th august|Indian independence day quiz |India's Freedom related questions with answers| Questions and answers about Indian Independence| Indian freedom fighters quiz| Freedom quiz for Kids|Quiz on India's independence | Freedom Movement of India | Indian independence history quiz. All of Indian Know the Importance of 15 august 1947 and 26 January 1950's movement.I have make this quiz for aware (remember) the movement of Indian Freedom Struggle. In this quiz there are many questions with answers which give the idea about Indian freedom fighters struggle with British.These questions quiz is also useful for competitive exams preparation also. So here you can read India Independence related question and prepare for your exams. And also school children/Kids can take benefit of this independence/Freedom quiz.School Kids/children can make independence day speech quote based on these Freedom struggle questions and also make poem about religious freedom. These questions also related to Pakistan independence day because both country was joint. The above picture/images on top is contain some freedom fighters of India which is made for a tribute to all freedom fighters. So Celebrate Independence day with your class, Facebook, orkut, and twitter etc friends and take enjoy of this quiz. One request: please put comments about this quiz and our freedom fighters. 0.) Anna Hazare will start his Anshan against corruption on --------? 1.) When Indian Rebellion of 1857 began? 2.) When and where the last significant battle was fought ? The last significant battle was fought in Gwalior on 20 June 1858. 3.) What is the full form of INC? 4.) When the First World War was began? The First World War was began in the summer of 1914. The fighting ended in late 1918. 5.) Is any Indian soldiers were served in world war? Yes,About 1.3 million Indian soldiers and labourers served in Europe, Africa, and the Middle East. 6.) When Mahatma Gandhi came back in India after completed his studied in England and Africa visit? He studied law in England. Towards the end of the 19th century he arrived in South Africa to represent an Indian client. In South Africa, Gandhi, once traveling in the first class compartment reserved for whites only was thrown out of a train because he was not white. He started a movement for civil rights in South Africa and succeeded in changing some rules there. He left South Africa in 1915 and returned to India. 7.) When Indian National Congress was founded? Indian National Congress was founded in 1885 by educated Indian elite. 8.) When first session of the Indian National Congress was held? The first session of the Indian National Congress was held in Bombay in December 1885. Retired British ICS officer AO Hume played a key role in the formation of INC. 9.) 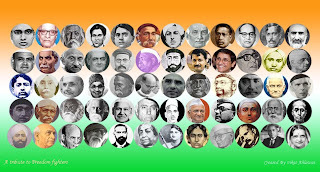 Who was the first President of Indian National Congress? Womesh Chandra Banerjee was the first President of Indian National Congress (INC). 10.) Who was the first woman president of the Indian National Congress? Annie Besant was the first woman President of Indian National Congress. She presided over the 1917 Calcutta session of the Indian National Congress. Annie Besant was of Irish origin and was one of the few foreigners who played a significant role in the Indian freedom movement. 11.) At that period when Mahatama Gandhi reached india, then who was the leader of Indian National Congress? At that period the leader of Indian National Congress was Lokmanya Tilak. 12.) Who was appointed as the Viceroy on India in 1905? Lord Minto was appointed as the Viceroy on India in 1905. 13.) When Tilak was died? In 1920 Tilak died and Gandhi became the leader of Indian National Congress. 14.) When simon commission came to India? 15.) When Mahatma resigned from the leadership of the Congress? In the early 1930s Gandhi even resigned from the leadership of the Congress because of growing criticism against his leadership. But from then on Gandhi became the father figure of the Congress. 16.) When Mahatma Gandhi start 'Quit India' movement? In 1942 Gandhi led the 'Quit India' movement. 17.) Who addressed Mahatma Gandhi as the "Father of the Nation"? Subhas Chandra Bose: In a speech broadcast by the Azad Hind Radio from Singapore on July 6, 1944, Subhas Chandra Bose addressed Mahatma Gandhi as the "Father of the Nation". This was the first time that Mahatma Gandhi was referred to by this appellation. 18.) When Bose(Famous Freedom Fighter) was elected as the General Secretary of the congress committee? 19.) When and how did netaji subhash chandra bose(Famous Freedom Fighter) die? Mr. Bose died because the Russians and the Japanese betrayed him and sent him on a plane which was surely going to crash. There are many rumors floating around regarding his death, but according to me this reason is the right one. 20.) When Bose amy begin to fight against the British in Burma and Imphal? 21.) Which newspaper was started by Balgangadhar Tilak, known as Lokmanya, to serve the cause of the Indian freedom struggle? Kesari, which means "Lion" in Sanskrit. 22.) Quit India resolution was passed by the Indian National Congress on which session? 23.) Who is regarded as the architect of the Indian Constitution? 24.) When did Dandi-march started by Gandhiji? 25.) When Shaheed Bhagat Singh(Famous Freedom Fighter) was hanged? 23 march 1923,He was hanged for shooting a police officer in response to the killing of veteran freedom fighter Lala Lajpat Rai. 26.) What was the age of (Shaheed) Bhagat Singh (freedom fighters) when he died(became shaheed)? He was 23 years, 5 months and 23 days old. 27.) Who set up the Swaraj Party in 1922? C.R.Das and Moti Lal Nehru. 28.) How Many Times was Gandhi Arrested? four times. The first he was arrested was 1922 and was to spend six years in prison. Ghandi was let out in 1924 for a medical illness. 29.) In Which language The Indian National Anthem “Janaganamana” (Jana-Gana-Mana) was composed? The Indian National anthem was composed originally in Bengali by Rabindranath Tagore and its Hindi version adopted by the Constituent Assembly as the National Anthem of India on 24 January 1950. It was first sung 27 December 1911 at the Calcutta session of the Indian National Congress. 30. )When India’s National Anthem “Janaganamana” first sung on? National Anthem “Janaganamana” first on sung 27 December 1911 at the Calcutta session of the Indian National Congress. 31.) Who is the last governor general of India? 32.) Sarojini Naidu was famously known as? 33.) When S. Naidu met Mahatma Gandhi? 34.) When Sarojini Naidu was arrested? In 1942 Sarojini Naidu was arrested during the “Quit India” protest and stayed in jail for 21 months with Gandhiji. 35.) Who gave the famous speech on February 2, 1948 after Gandhiji passed away on January 30? 36.) When did the First war of Independence start? 37.) When did The Purna Swaraj declaration (Declaration of the Independence) of India was promulgated by the Indian National Congress? 38.) When Indian Independence Act was passed in the British Parliament? 39.) Who described Gandhi's march to Dandi in the following words? "Like the historic march of Ramchandra to Lanka, the march of Gandhi will be memorable" ? 40.) When India’s National Song “Vande Mataram” first time sung in? 41.) In which year Cabinet Mission came to India? 43.) How many times Nathuram Godse fire on Gandhiji with pistol? 44.) Who hoisted the Congress flag at the Gowalia Tank maidan in Bombay during the Quit India Movement, 1942? 45.) Woman Indian freedom fighter which was also politician in Uttar Pradesh? 46.) First woman to be elected Chief Minister of any Indian state? 47.) Lakshmi Seghal (Indian woman freedom fighter) was also know as? Captain Lakshmi, she was ex-officer of the Indian National Army. 48.) What roal play Usha Mehta in Indian freedom fight? Usha Mehta is remembered for operationalizing the Congress Radio. 49.) Who is known as the 'Heroine of 1942 Quit India Movement(Bhart chhodo aandolan)'? 50.) Congress Radio was also know as? Secret Congress Radio; an underground radio station, which functioned for few months during the Quit India Movement of 1942. 51.) Which Dal joined by the women freedom fighter (Kamaladevi Chattopadhyay)? Seva Dal,Dal, where she got involved in recruiting, training and organizing girls and women of all ages women across India, to become voluntary workers, 'sevikas'. 52.) How "Sevagram" is related to Gandhiji? it was the place of Mohandas Gandhi's (Gandhiji) ashram. Previously it was named as Shegaon, it was Mahatma Gandhi who renamed it to Sevagram. 53.) Where did Gandhiji kept during house arrest in the 1940? Arrested and interned in Aga Khan's Palace at Pune(Poona). 54.) When British Government arrest Gandhiji for sedition the first time? 1922 March 10 at Ahmedabad: to six years' imprisonment. 55.) Name of the Freedom fighter who was poet? 56.) Who was thrice elected as the President of Congress? 57. )Who composed the famous patriotic song "Sare Jahan Se Acha"? 58. )Which freedom fighter was changed his name as "Mohammad Singh Azad"? 59. )Jallianwala Bagh massacre happened (took place) on? Amritsar, on April 13, 1919. 60. )Which British officer was given the Open fire order in Jallianwala Bagh? 61. )Who said ”Swaraj is my birth right and I must have it”? 62. )Prime minister of Britain when India got Independence? 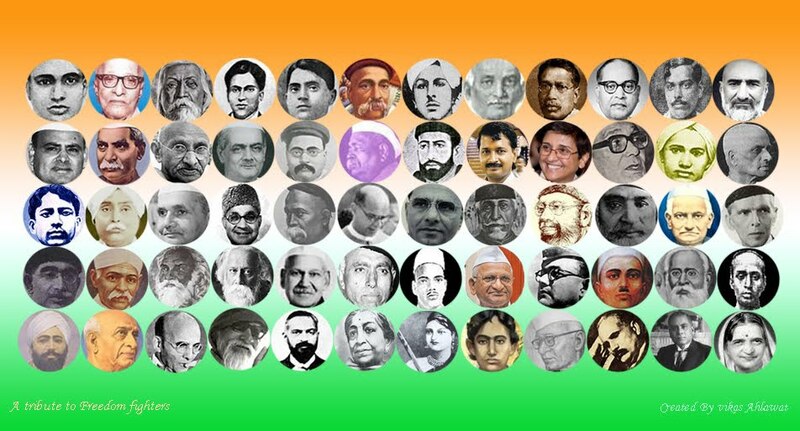 Thanks Very much for this "INDIAN INDEPENDENCE DAY QUIZ | INDIA FREEDOM QUIZ | INDIAN FREEDOM FIGHTERS QUIZ For KIDS(Class >8) | History Quiz". I have bookmarked this website for future reference. keep it up thanks again. Thanks.. it helped me someway..
hey, this speaks of your patriotism,pride and purposeful living. God Bless you. Things every Indian must know. publish more questions here .it will help teachers and students. Thanks. It helps me alot.